In thus responding he presents us with a comprehensive argument, neatly encapsulating the essence of the advertising paradigm. Let me take each point in turn. In a nutshell, the response is that there is no case in which the influence is benign. The purpose of inserting brand awareness into a child's education is not to persuade the child to buy a certain product. It is to ensure that the beand identity is pervasive, to ensure that the brand identity is part of the child's cultural awareness. The placing of advertisements is never politically or socially neutral. By making advertisements a normal part of a child's experience, the messages and ideologies behind that advertising campaign are themselves regarded as normal, to the exclusion (as abnormal) any comflicting messages. It's not just that advertisers want to occupy the space. As the examples (I hoped) show, they want to occupy the space to the exclusion of any other message. Having children create advertising campaigns means they are not creating (as we did when I was a child) 'play safe' campiagns, or 'do not smoke' campaigns, or even 'stop pollution' campaigns. "The message broadcast to students on Channel One is clear: our culture is defined by the movies and music we see and hear, our culture is the best, and the best path to self-actualization is to immerse ourselves in this culture." Which is essentially a confession that the methodology of the first point has gone a long way toward succeeding. In fact, we are almost completely surrounded and immersed in a corporate media culture. But the content of Clint's second point is that we should therefore embrace this, because activities like creating ads is a way of working with (and within) this new reality. But I have to ask: is this the best response? Let me posit another. In Canada, an entire generation of East Coast activism was spawned by the use of Eleanor McLean's influential work, "Between the Lines". 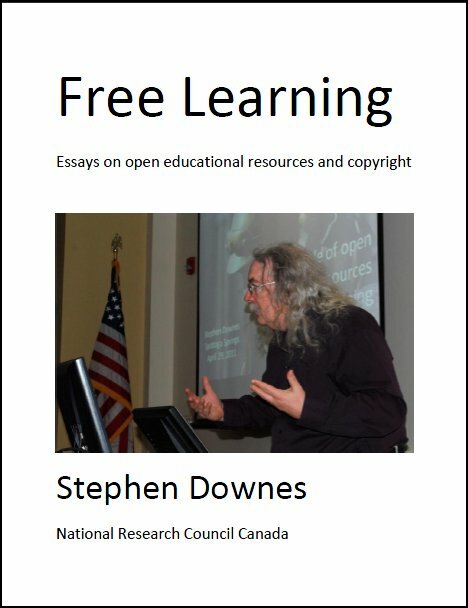 This school text - no longer available even on Amazon.Com - analyzed the advertising campaigns pervasive in Martitime Canada and exposed their use of subtle imagery, logical fallacies and other techniques. As a logic teacher for almost a decade, I can say with both knowledge and conviction that most students entering today's universities do not enter with even the most basic critical skills. This is why I created my site, Stephen's Guide to the Logical Fallacies. A variety of resources exist which may help teachers and students react intelligently, rather than compliantly, to today's advertising campaigns. The best I am aware of is Canada SchoolNet's Media Awareness Network. Even a simple thing like a subscription to AdBusters magazine would help - but with a circulation of 35,000 it is unlikely that it is being purchased by many school libraries. In my opinion, the best - and only - defensible response to the increasing media glut is to provide students - and especially young students - with the tools to critically evaulate and address its impact. Which now leads us to our third point. Even if we take for granted the idea that corporations ought to be treated (as they are in law) as persons, and therefore given certain rights (and this is by no means uncontested: see Kalle Lasn's "Culture Jam"), it does not follow that corporations ought to be given carte blanche to conduct their activities. Already, the rights of corporations to express themselves and their ideologies far exceeds that of the average citizen. Much of this increased power is purchased with their financial muscle, and the rest is purchased through an increasingly compliant legal system. It would please me to no end, for example, to be able to enter local school classrooms, take over classes for a day or a week, and to illustrate (say) the idea that economic progress is bad for the environment, or that the students' clothing is manufactured by exploited workers in totalitarian regimes like China or Indonesia. But it's not going to happen. Nor will these messages - even if paid for - show up on our television screens, in our magazines or on our bus shelters. Most media companies prohibit 'controversial' advertising, and the many attempts of Vancouver's media foundation to buy and place such ads have been rebuffed. Nor are individuals granted the freedoms to express their opinions about corporations in the way media pundits express their opinions about individuals. It is perfectly legal for the local newspaper to run an unflattering photograph of a social activist, calling him a 'trouble-maker' or disparaging him as a 'thrill seeker', but it is illegal for a parody site to use a corporate image to criticize, say, K-Mart. It is easy and trite to say that individuals have recourse under the laws of libel and slander to respond to such misuse, but the costs of such actions mean that the courts are useful only for the well funded, which again is an advantage granted to corporations. It is because of the limitations on individual freedoms that we cannot grant to advertisers absolute freedoms. Because of their dirproportional power and influence, it is necessary to be even more vigilant when watching the messages they send and the audiences they send them to. Clint concludes with the question, "How do we preserve integrity in education in the face of growing advertiser influences?" I think that the seeds of the answer are in my responses above. We must treat the advertising message as not merely an economic message, but also as a social and political message. As such, we must ensure that it does not become the only message available to our students. We must give students the tools they need to analyse and evaluate the message, and we must take steps to ensure that it does not prevent the distribution of alternative and countervailing messages. Last Updated: Aug 23, 2018 10:17 a.m.